Trefík contains odds since 1996. The extraordinary possibility how to test own betting strategy. Prepared coupons can be transform with one button click from Trefik to the webpages of selected bookmakers. A huge database with sport results and odds directly on your computer! 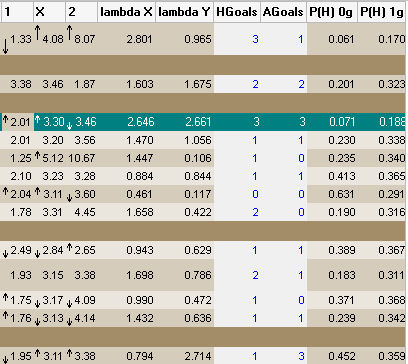 You can analyze the database using the Trefík features, check the efficiency of different betting strategies using the real odds at various bookmakers. You can get the extraordinary possibility how to check the efficiency of your own prediction strategy. Trefík contains odds already since 1996, which gives you really huge potential for deep testing the betting efficiency. We do not offer any "sure tips" how to profit with betting. 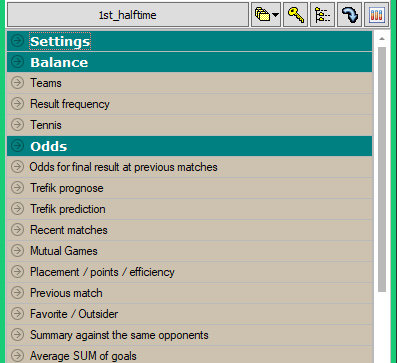 We offer the way how you can create your own bettings strategy using Trefík features and the huge archive database. Trefík can check the strategy at the past matches and if you wish Trefík can help with using that checked strategy for the future matches. Data in Trefík is continually updated. Results, goal scorers and match odds. You can track down what odds are falling or rising and looking up your tips accordingly. Trefík can find a match in the current offer or in a long past that meets all 7 requirements you consider to be essential to start thinking about the match. 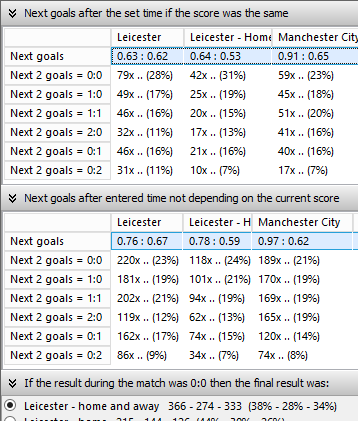 The program allows Poisson's distribution to estimate the outcome of the match. From matches played, Trefík will get the necessary variables to predict the score of the upcoming matches. How will end the next team match after three non-winnings at home? How did the same team deal with this situation in the past? Is it worthwhile for a team to bet that it will finally win home? Analysis of soccer matches in the context of 80 minute goals scored. The results can be used especially for live betting during the match. Would it be worth betting on specific opponents to score after 80 minutes? Analysis of the popular bet "Both Teams Score". It does not matter the outcome of the match, but only the goals scored. We can bet whether or not the goalkeepers of both teams will be overcome. Even with this, Trefik can help. How to update results, odds and other data in Trefík. You can download and test the Trefík demo version. Sports, competitions and bookmakers coverage in Trefík. Tennis ITF rankings are in Trefík (men + women, singles + doubles). When using calculations based on user rules, you can work with opponents efficiency in their last matches. It is possible to take into account the current shape of opponents for the calculations. Comparing the same situation in the past with the current state. Enter the number of matches and you get the balance for the same sequence of results as it is now. Balance after matches with the same opponent as in the previous round. Or before matches with the following opponent. Calculations by user's rules. For every win in the last 6 games, add the bonus, twice for the homeless goal at home. When working with multiple filters at oncee, you can specify a condition for the number of filters. The match will only be displayed if it has passed at least 5 filters from the 8 filters specified. How to display the odds for other than 1-X-2 bets? 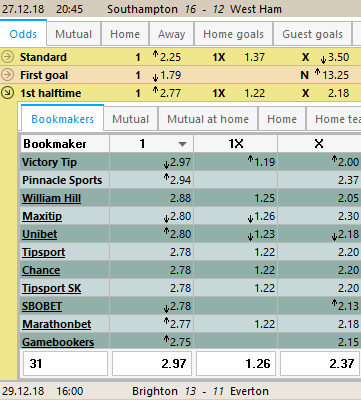 How to display odds for more bet types for a match? How to display the odds for matches which have no odds from the currently selected bookmaker? How to display the maximum odds from my bookmakers selection? How to add a match into a coupon? Is it possible to limit the number of competitions in Trefík?